He asked me if I was German. Apparently, German girls always say no right away when he tries to approach them. The culture that I preferred over doggy paddling in the cold water consisted of more adobe ruins. 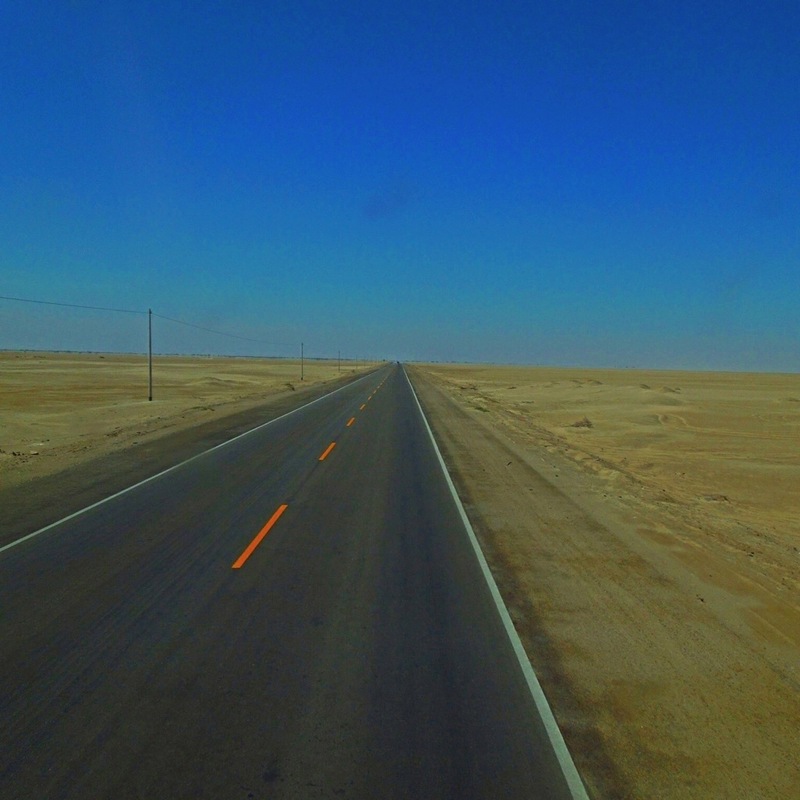 Several bus rides out of Trujillo, I found the remains of the Moche capital of Cerro Blanco. 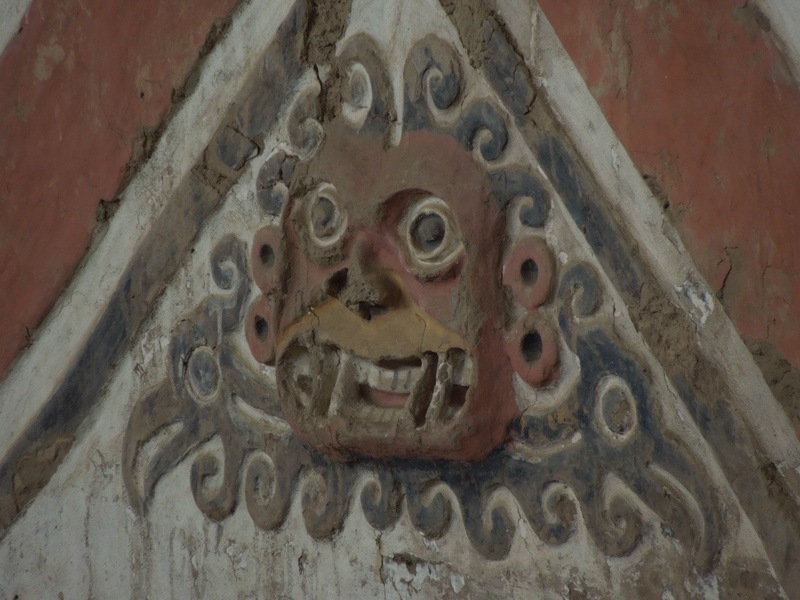 The walls of Huaca de la Luna, the ‘shrine of the moon’, are decorated with colourful murals of spiders and snakes, victors and losers, and various deities. One image is that of the hairless dog, a creature not unlike the thestral that draws the Hogwarts carriages in Harry Potter, still to be found lying around the ruins today. In fact there are five temples, one on top of the other, each bigger than the last. The Moche would reconstruct the pyramid every 100 years or so, in an almost exact replica of the previous version. This is why the walls of the older buildings, protected under the new constructions, have been so well preserved. The bricks themselves each bear markings that refer to the families who contributed to the construction of this important spiritual site. Towards the end of the Moche era, the priests, who had ruled thanks to their apparent ability to commune with and appease the gods, lost their political power when an unusually strong and long-lasting El Niño effect showed them to be powerless. Control shifted from the religious centre of Huaca de la Luna to the administrative centre of Huaca del Sol, which was unfortunately largely destroyed and looted by the Spanish in the 1600s. Climate change, resulting in both a loss of faith and competition over scarce resources, eventually caused the demise of the Moche culture. So follow the fishes I did. They led me through a labyrinth of long corridors that opened out onto big plazas. The walls of the city are covered in intricate carvings of warriors, birds, and, yes, fish. 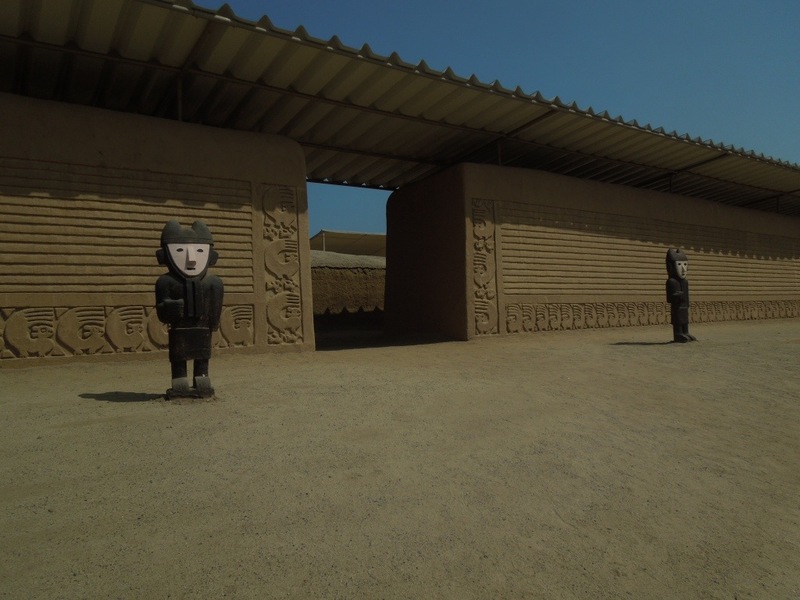 Built around 850 AD and lasting until conquest by the Incas in 1470, Chan Chan is the largest adobe city in the world. 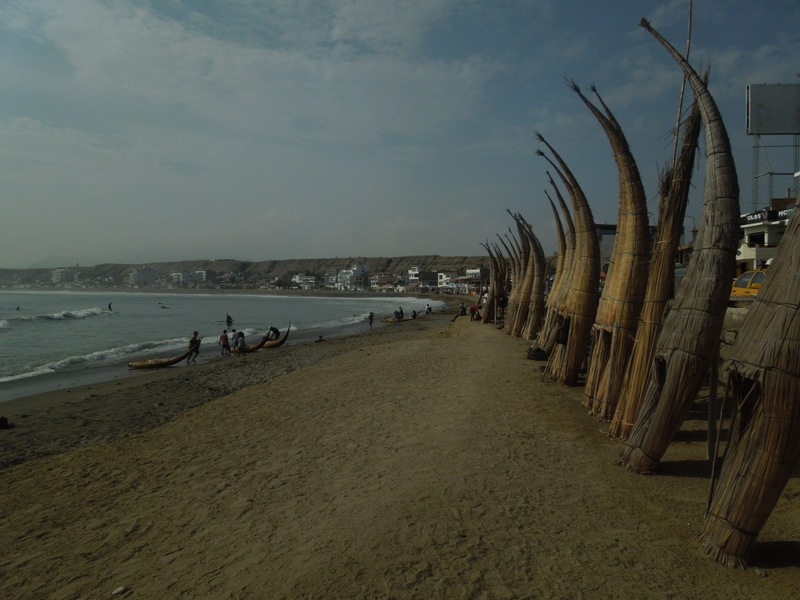 My first proper stop in Peru was Chiclayo, and my first outing Tumbas Reales in Lambayeque, 15 minutes away by ‘collectivo’, a shared taxi. I was told it was the Día Internacional del Museo, 18th May – but alas, this meant free entry only for Peruvian nationals, not for extranjeros. So I got to experience the hordes of Peru descending upon the museum, trapped in the tombs with screaming children, without the associated benefit of getting in for free. El Señor de Sipán was a ruler of the Moche culture who dominated the northern coast of Peru for the first 700 years AD. Within his tomb, he was accompanied by his principal wife along with two other women; a warrior, a standard-bearer; a child; a dog; and two llamas. Companions essential on the journey to the afterlife. Outside the chamber, a guard with his feet cut off, symbolising the fact that he could never leave his post. 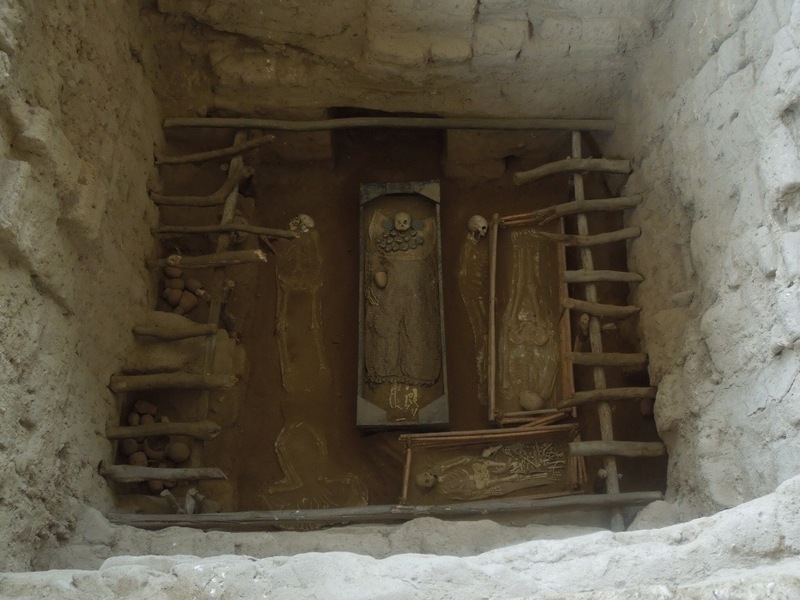 I also visited a smaller museum, Huaca Rajada, on the original site of where the tomb was discovered in Sipán. The Moche palaces, temples and dwellings were built with adobe bricks – essentially sand, clay, and straw – and so unfortunately have eroded with the rains over the centuries. Outside the museum, they had some nice artisan stalls, where I bought a beautiful bracelet with blue, amber and turquoise stones, and some earrings. When I returned to the hostel that night, I found I had another souvenir: small red bites all over the underside of my thighs. Sand fleas? Sand flies? Ouch. 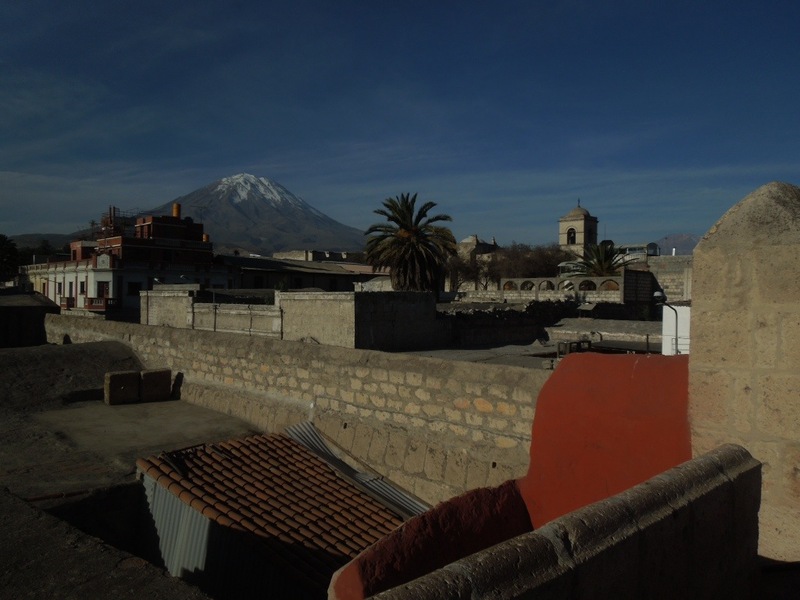 The most impressive site (and sight), though, was in Túcume. And here they hadn’t got the memo that the international day of the museum was just for nationals, so I got in for free. Bonus. I climbed up to the Mirador del Cerro Purgatorio and had an almost 360 degree view over this regional site, occupied by the Lambayeque/Sican, Chimú, and Inca from 800 AD to the arrival of the Spanish. My final outing in Chiclayo was to the Witches’ Market, Mercado de Brujos. I didn’t see the snake skins, tortoise shells, and shrunken heads I’d heard about, possibly because I was too subtle in not wanting to stare. They did have a lot of herbs, though, and stones, and voodoo dolls. I didn’t think I needed any of those things so left empty handed.